I found this at the back door to the Brewster County Courthouse; I assume it is where the unruly employee(s) have to sit when they get put in time out. It’s in the shade, and the trees are pretty and the air’s fresh, so it’s probably a nice place to sit. Even if you are in trouble. Posted on January 4, 2019, in Photography and tagged 365 photo project, alpine texas, black and white photography, brewster county, downtown, learning to see, Leica, melinda green harvey, monochrome, one day one image, photo a day, photography, postaday, road trip, texas, thoughtful seeing, travel photography. Bookmark the permalink. 9 Comments. Never occurred to you that the chair was the one in trouble?!! That actually did not occur to me. 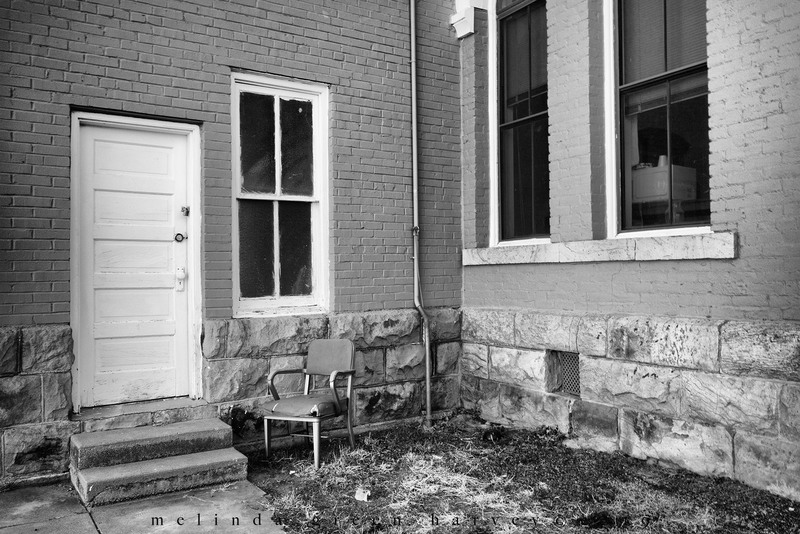 What I DID think is that if I worked for the County, at least I’d have a nice place to sit when I got in trouble. See? I made it all about me, and completely ignored the chair. Except for, you know, that part about taking its picture. You do make me smile, Melinda! You can decide for yourself whether you consider that a good or a bad thing…..
Nice find and documentary photography. You make me smile too 🙂 I’d like to see this photo with a guard (looking chagrined) sitting in the chair. S/he’d probably be smoking. Glad I can provide a smile or two. I was there on a Saturday, so the courthouse was closed. Next time, I’ll be sure to go during the week and I’ll check out where the guard(s) are. And if s/he are smoking.